Here is a wonderful application for the readers. 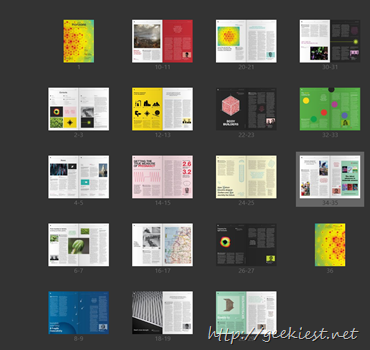 This application will help you to read nearly 15 million publications online. 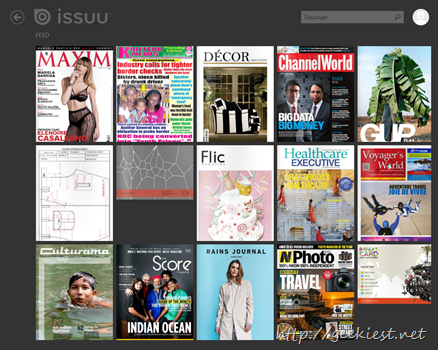 It have magazines of different categories like family, fashion, design, sports, photography, weddings, technology, and style to science, medicine, food, travel and many more. 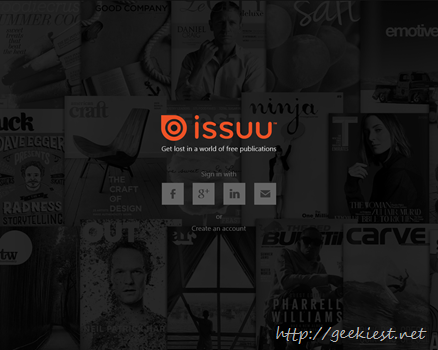 Issuu is leading website where you can read publication online for Free. The website have millions of magazines and they claims they are adding nearly 25,000 new publications everyday to the website. 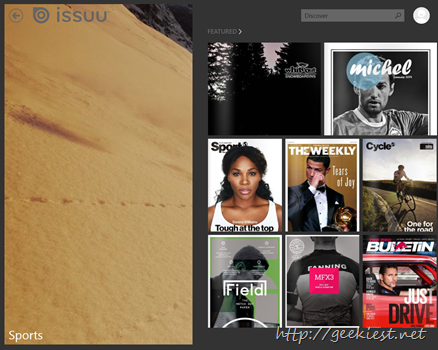 Issuu offers applications for both Windows and Android Users. The screen shots below are from Windows 8 Application. 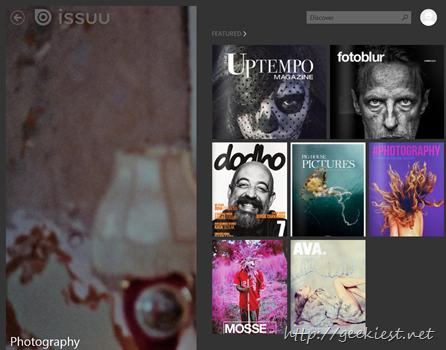 You can check the magazines by category, or suggested stacks etc. 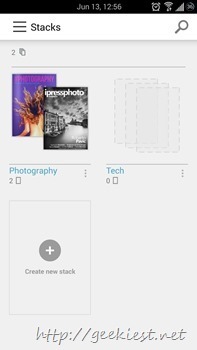 Under each section there will be many magazines and you can select your preferred one and read it with out paying. When you open a magazine below that it will have similar publications listed. 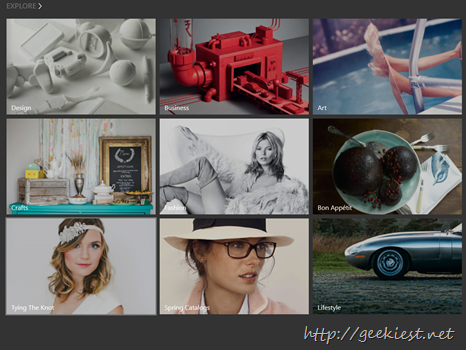 When you open one you can view the entire content in one page also click on one to read it. If you double click on a page it will zoom and another double click will zoom out. 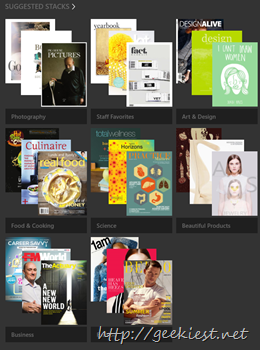 You can create your own stacks and add favorite magazines to them for easy access. If you are installing the application on different devices (Windows 8, Android) or online these stack will get synchronized. You can share it from the application itself. 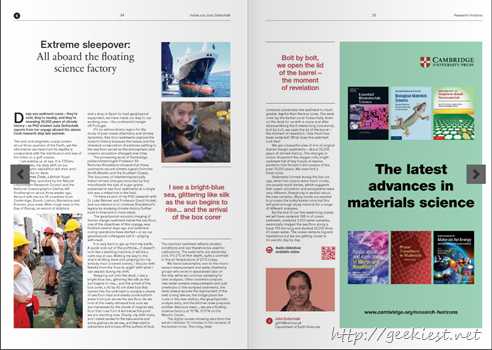 The user who are accessing the link can use any device to read the magazine.